Alice in Wonderland: Which places inspired Lewis Carroll's classic? Numerous towns claim some connection to Lewis Carroll's classic children's novel Alice's Adventures in Wonderland, which is 150 years old this year. But how legitimate are their links? 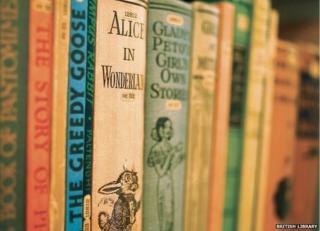 Oxford is the undisputed home of Wonderland, says David Gibb of the city's Story Museum. "Wonderland's influence is massive; if you look carefully you can see it everywhere in Oxford," he said. The story goes that in July, 1862, Charles Dodgson - a maths lecturer at Christ Church - was rowing the three young daughters of his friend Henry Liddell up the River Isis for a picnic. He made up a story to entertain them, using the name of 10-year-old Alice for the girl who falls down a rabbit hole. Three years later, after much pestering from Alice, the story was published as Alice's Adventures in Wonderland under Dodgson's alias Lewis Carroll. The stuffed dodo which allegedly inspired Carroll to create the character based on the extinct bird can still be seen in the University Museum of Natural History. The Sheep Shop from Wonderland's sequel Through the Looking Glass is still at 83 St Aldate's and sells Alice memorabilia. "It was the first children's book to star a child who acted like a child. It was silly for the sake of being silly, it was totally unlike the other moral stories for children at the time," said Mr Gibb. Wearside and Wonderland are one, according to graphic novelist Bryan Talbot. Carroll's sisters Mary and Elizabeth lived in the Southwick area of the city after Mary married the Reverend Charles Collingwood. In his 2007 work Alice in Sunderland, Talbot calls the Oxford boat-trip story a myth and alleges Carroll spent years conjuring up the characters of Wonderland and Looking Glass. Alice Liddell's family also had strong connections with north-east England. In A Town Like Alice's, historian Michael Bute says her ancestors' heraldic shields at Hylton Castle might have inspired the chess moves Carroll had his heroine make. Carroll regularly visited cousins in Whitburn, in Tyne and Wear. On one beach walk he is said to have met a carpenter and supposedly came across a stuffed walrus in the town. Image caption Were Lewis Carroll's Walrus and Carpenter characters, as depicted by John Tenniel, inspired by his visits to Sunderland? Carroll's poem Jabberwocky is said to have been completed in Whitburn, which is also home of Sir Hedworth Williamson, a relation of Alice Liddell. Talbot notes that Williamson introduced white rabbits into the grounds of his home, Whitburn Hall, where Carroll played croquet. But perhaps the most intriguing connection is the carving of a cat in St Peter's Church in Croft, Darlington, where Carroll's father was rector. It seems reasonable to assume his eye would have been caught by an unusual carving of a cat which, depending upon the angle it is viewed from, appears to be grinning. Image caption Was this carving possibly seen by a young Carroll in St Peter's Church in Croft, near Darlington? And was it the inspiration for the grinning Cheshire Cat? Llandudno's place in Alice lore varies from influential to incorrect, according to local historian John Lawson-Reay. It may be that Carroll was inspired by various parts of the north Wales coastal town, but a 1933-statue which suggests he devised Wonderland during "happy ramblings" with Alice on the beach is wrong, he said. The Liddells loved Llandudno enough to build a home - Penmorfa - on its west shore in 1862. Mr Lawson-Reay is convinced a photograph of Penmorfa, with a man and a group of girls, proves Carroll visited - and if he did then features of the town might have inspired him in writing Through the Looking Glass. "Looking Glass describes someone walking up a zigzag path and looking down on a chessboard," he said. "The path up the Great Orme (a hill behind the town) is zigzagged, and Llandudno was being built at the time; the roads being laid out would have looked like a chessboard from the hill." The White Rabbit statue was unveiled in 1933 by the former prime minister David Lloyd George, and the town also has an app-driven Alice trail for visitors to follow. In 1868 - three years after Wonderland was published - Carroll bought The Chestnuts, a large Georgian house neighbouring Guildford Castle, as a home for his six unmarried sisters. Carroll would visit the home and is said to have written Through the Looking Glass while staying there in 1871, although other locations also claim to be the inspiration for the book. It is claimed he wrote Hunting of the Snark while walking on the Hog's Back, a large hill near Guildford. The last year of Carroll's life - 1898 - was spent at Chestnuts and he is buried in The Mount Cemetery in the town. The Chestnuts and Carroll's grave both feature on guided tours of Guildford. There are also statues of Alice in the castle grounds and next to the river, while Guildford Museum contains memorabilia including a letter from Carroll to Alice Liddell. Lyndhurst in Hampshire has been reluctant to make much of its connection to Alice Liddell - until now. She spent 54 years in the New Forest village after marrying Reginald Hargreaves, owner of the large Cuffnells estate, in 1880. She described Lyndhurst as "Wonderland come true at last" and tour guides would make a point of passing so visitors could see where she lived. For a time Carroll's first Wonderland manuscript was on display at the house. But in her later years she became tired of being the real-life Alice and after her death, in 1934, her family insisted no fuss be made of her Wonderland connections. She would instead be remembered as a community member, mother and wife. Alice's ashes are buried at St Michaels and All Angels Church. Now the village wants to do more to remember one of its most famous residents. "Alice did live here and played a very big role in community life," said historian Angela Trend. "There has been a feeling the family didn't want any fuss, but that has changed now - we want to celebrate her."